I've still got what feels like an eternity until this test. It doesn't get easier. I've leaned on so many of my friends with them taking it in shifts to come visit me. I've went shopping and had many days out, getting on a plane to visit my best friend all things you would think could take your mind off things. Nothing works. I can feel myself wanting to cry but nothing comes out. It's such a rollercoaster of emotions. For all I know the baby could be totally healthy and I'm under this crazy amount of stress. Or am I thinking about the sadness I have for the baby I'm carrying who might not have any quality of life. Since theres literally nothing I can do until I have the results, it really does feel like a black hole. You can't be positive and you can't grieve you just have to wait. Wait whilst this tiny little baby is growing everyday inside you. Wait every week whilst I see the changes happening to my body and wait until the baby is that little bit stronger. Week 16 came along and I'm so proud of myself for getting this far. I became emotionless and I felt like I was prepared for the Amniocentesis. At this point I had read everything I possibly could and I just wanted to get it done and over with. The morning of the test came and I was ready hours before I needed to actually leave for the hospital. I arrived nearly 2 hours early to my appointment but I was glad to just be sat there knowing it wasn't much longer. At 2pm a senior consultant called my name, I of course took my mum in with me as I needed as much support as I could get. She sat me down and asked if a student doctor could join us along with a senior midwife. She went on to explain what was about to happen and if I was happy to sign some documents. She also asked if I wanted to have some other test which I had never heard of and I can't even remember the name of it. The extra test was basically to find out if there was any other problems but she said if anything did come back they couldn't tell me what was wrong. After the stress they past few weeks had caused I couldn't do that to myself and I refused any extra tests. By this point I think I kept it together quite well but when I was signing that bit of paper I could feel myself getting upset. It was so incredibly raw and emotional. The consultant asked me to lie on the bed whilst they scanned my belly to see how the baby was lying and if it was possible to do the test that day. At this point she told me to look at the screen as my little baby waved but I couldn't even bring myself to smile because I was so scared. I knew at this point everyone in the room could feel my nerves and just carried on quickly with the next step. She then explained they were going to cover my tummy in iodine and switch the lights off. They went on to scan me again to make sure they had the perfect position to put the needle. For whatever reason I didn't expect them to do it so soon and she literally said right thats us and proceeded to stab my stomach with a needle that was at least 6 inches long. I had in my mind it would have been like a blood test but it was the complete opposite, more like an adrenaline shot. Which of course took me by complete surprise and the pain at the point was quite bad. There was an intense cramping sensation as I could feel the needle pass through my muscle and womb. They proceeded to take 2 vials of amniotic fluid from around the baby which looked like a acid it was that bright. This whole process lasted no longer than a minute. At this point I couldn't control my emotions and I just cried my little heart out. The student doctor then took a blood test and then the midwife went on to give me an Anti - D which is incase I reject the baby as my blood type is negative and they won't know if the baby's blood type is positive. I sat at the end of the bed feeling so lifeless and so sick of being jabbed by needles. The consultant gave me some new scan pictures and said I could go on my way. I was to go home and rest as the chance of miscarriage is highest for the following 72 hours. That's exactly what I did and for the next 4 days I never left my bed. Some blogs online say you can carry on with normal things the next day but I genuinely don't know how thats possible. For the first 24 hours I had a lot of cramping which was kind of like bad period pains but this was normal. Every day that went by I got a bit stronger and by the end of the 4 days I could get to the toilet by myself which was a complete achievement! Only 2 days later which took me by surprise again I received a call from the senior midwife. She was delighted to tell me that our little baby was totally fine and had no irregular chromosomes. She then asked if I wanted to know if it was a boy or girl which I needed to know as I couldn't cope with anymore surprises! The sheer relief and weight of our shoulders was truly immense. 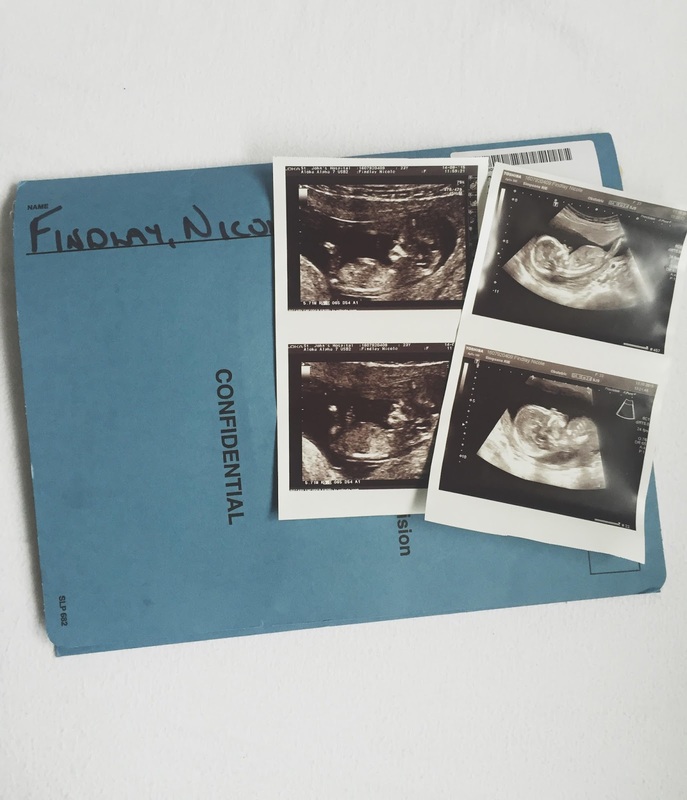 We could finally get on with our lives and begin to look forward to meeting our incredible baby boy. If anything changes you as a person it's certainly becoming a parent and it's truly made me realise that your health and the health of a baby is the single most important thing in this crazy world that we live in.